Doctor Hermida practices clinical and cosmetic dermatology in Buenos Aires, Argentina. After graduating with honors from the University of Salvador in Buenos Aires, she completed residencies in Internal Medicine and Dermatology at Hospital Nacional Profesor A Posadas. She also qualified as a specialist in Dermatology at the University of Buenos Aires. She works in the Department of Dermatology at CEMIC (Center of Medical Education and Clinical Investigation), maintains a private practice in Buenos Aires.and is on the faculty of the CEMIC University Institute, School of Medicine. 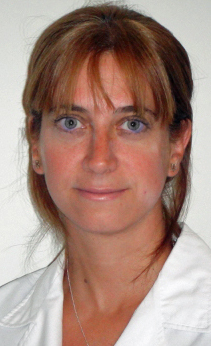 Doctor Hermida is a member of the Argentinian Dermatology Society and also serves on the Editorial Board of Dermatología Argentina and The World Journal of Dermatology.